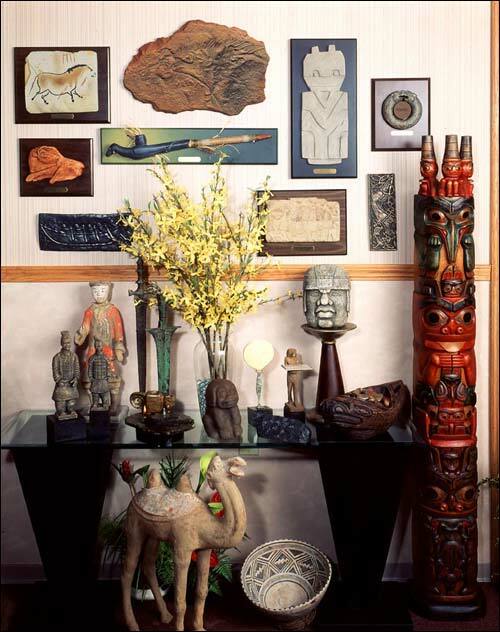 Now you can own museum quality original artifacts, replicas and reproductions. Visit fascinating mystical places by browsing the Echoes in Time catalog. Your journey with us will take you back in time to experience the creation of magnificent ancient cities, marvel at the skills of artisans and crafters working beside primitive huts, or share the accomplishments and daily struggles of people from all walks of life. The use of exclusive technology assures you of the highest quality reproductions and replicas. Most of our products are available only through Echoes in Time. Many items are available in either the original or as a reproduction. Each item comes with a captivating story that will give you a view into the lives of the original creators. The stories enhance the value of the pieces and make them even more extraordinary. Bring a piece of history into your life through the ancient art -- and fascinating stories -- available here. 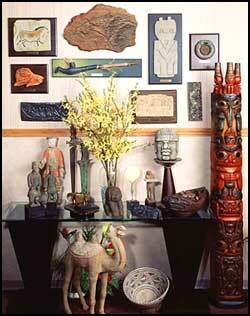 You can furnish your home or office with history and beauty that transcends the boundaries of time. Looking for a special gift? You will find themes that span a wide variety of interests and tastes. You can be sure that anything you choose from our catalog, either for yourself or as a gift will be the topic for interesting conversation.